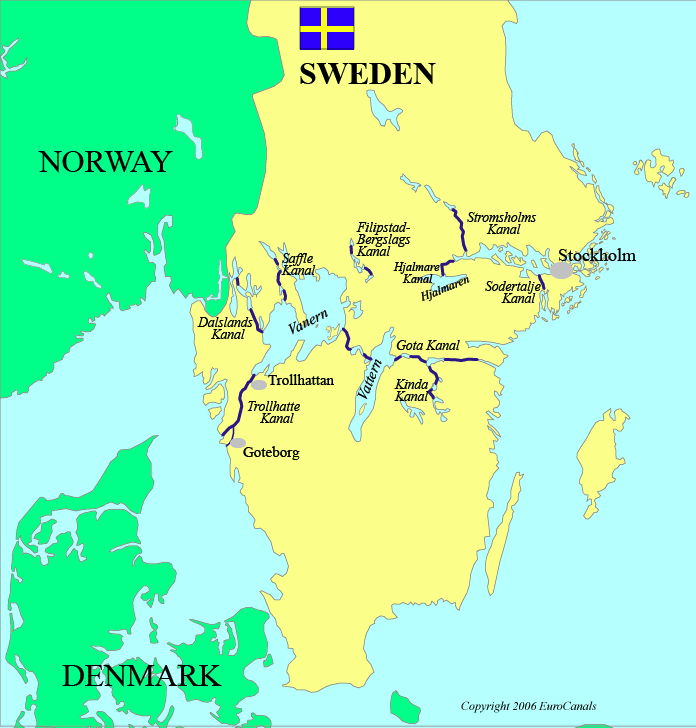 The Trollhatte Canal and the Gota Canal form a route across Sweden from the North Sea to the Baltic, passing through two major lakes. Trips are available on passenger ships or self-skippered boats can be rented. A coastal passage continues north to Stockholm. Six other canals connect to inland lakes.